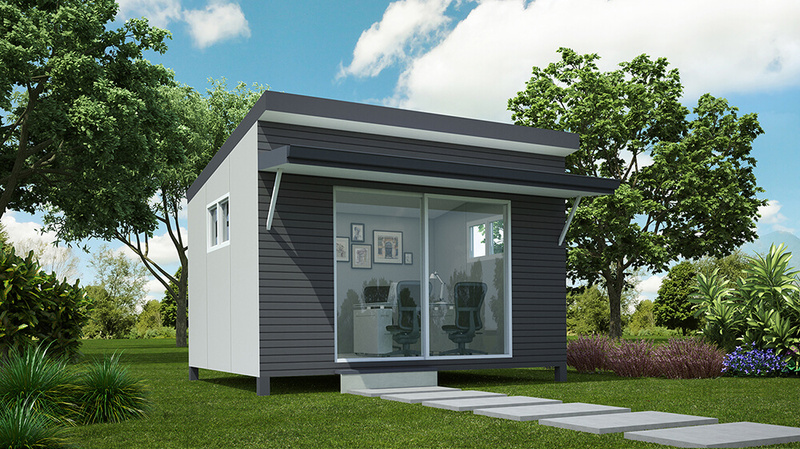 Pods are becoming very popular as a way of creating extra space without the need for costly home renovations and additions. Straight Edge Pods are available in three standard sizes, and are clad with Scyon Easylap, and Hardies Primeline Chamferboard for a contemporary look with clean lines.The sizes chosen have been selected to suit material sizes and reduce on site waste. Pods are supplied with steel stumped floor systems, however these can be removed if you wish to put your Pod on a concrete slab. The interior plasterboard linings are included, however these can be replaced with fibre cement with express jointers if you’d like to avoid the cost of sanding and flushing. Frames with a 50 year material guarantee. All Pods include delivery within the Perth Metro Area.